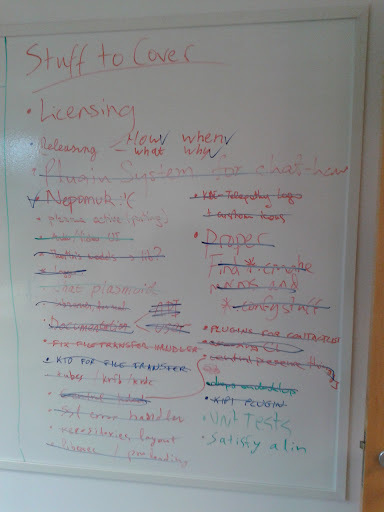 The KDE-Telepathy Sprint (now called Woshibo) lasted 3 days it total. Developers had the chance to be brought together in the same place, to discuss, make decisions, write new code, implement new features, fix bugs and have fun working on the project. This sprint had a quite big agenda, thus a lot of things were brought into discussion.